One is the quality of flour. The baker cannot control the quality of flour. Only by controlling the production process, that is, adding improver, can he improve the stability of the production process and the quality of bread. The other one is the aging of wheat starch. After bread is taken out from the oven, starch will begin its aging process, that is, bread hardens and has dregs. Chinese pasta, such as steamed stuffed bun and steamed bun, will also face the problems of fast aging, toughness and rough structure. All these factors will affect the quality of flour product. 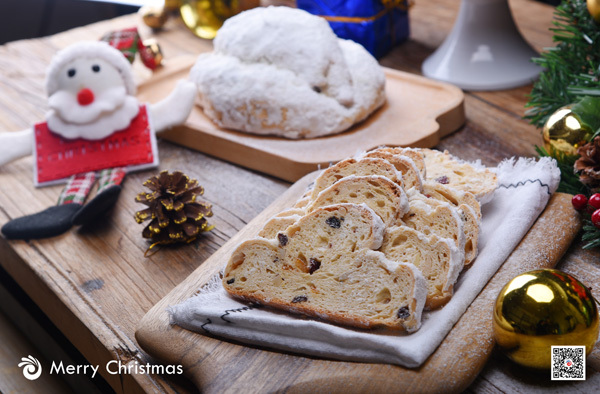 In order to solve these problems, many bakers will choose bread improver. 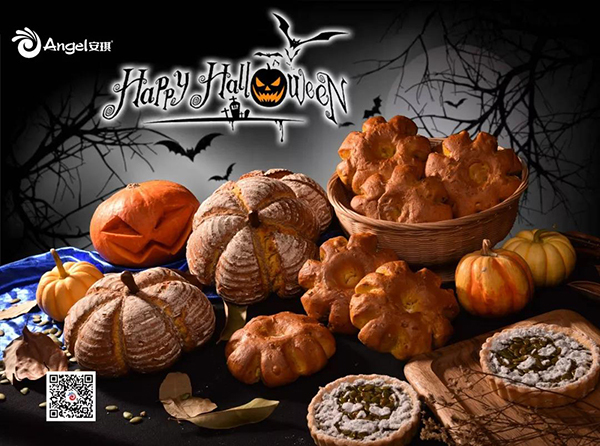 Firstly, bread improver can effectively improve the stability of dough during the production process, such as improving the anti-stirring property and the stability of dough in the fermentation process. 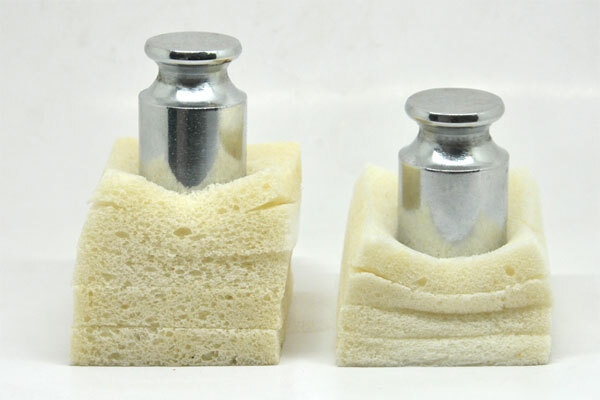 Thirdly, the improver can keep the soft property of finished product for a long time, that is, delaying the retrogradation of starch and so on. ① Increase the volume (expansion in the oven). Contrast pictures of the volume of the finished toast. The improver can enhance the binding of gluten protein, making the gluten more compact, which can maintain more gas produced by yeast fermentation. So the organization is more exquisite and the expansibility is better. It can also improve the expansion of dough to make the bread easy to expand during the baking process. The amylase in the bread improver can hydrolyze the starch into dextrin or small molecule starch, and then produce reducing sugar under the effect of other enzymes or yeast. The reducing sugar and protein can react to change the color when they are heated. The bread improver can enhanced the gluten network structure, which makes the dough stable during stirring process and difficult to over stir. In the fermentation process, this bread structure is easy to maintain the gas. 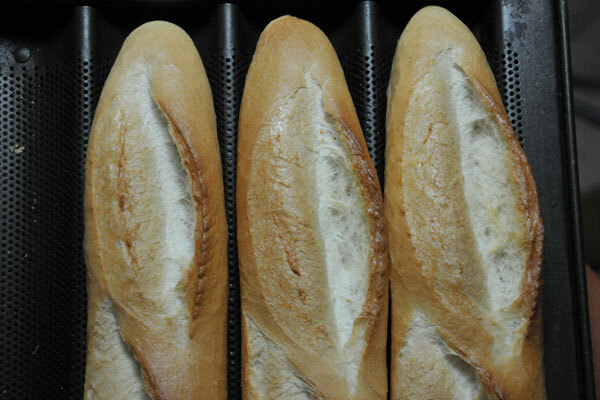 Therefore, it can keep the best bread quality under different conditions. What is good mechanical operability? 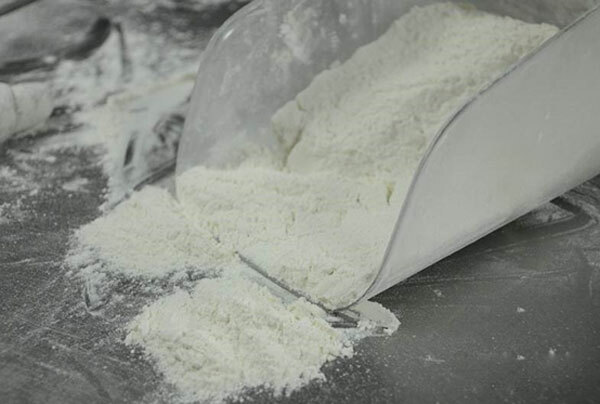 Specific performance: when we process the dough, the dough should be hard, elastic and dry; if not, the dough will stick to the machine and is difficult to shape. The bread improver can enhance the gluten, which makes the dough elastic, dry and easy to operate. ⑤ Improve the inner texture of finished bread (even texture). The contrast picture of bread texture. Enhance the gluten to make gluten compact and holes small and rich. Emulsification makes each element in dough more even. Oxidation makes the tissue whiter. Some components in the improver together with oxygen can oxidize the color. ⑥ Anti-aging (extend the shelf life). Firstly, bread must have good tissue, exquisite organization and ideal protein formation (The good formed protein is polymer which can save water.). If not, bread is easy to age. Secondly, the enzyme in the improver can break down the starch structure, so that the starch is not easy to age. Thirdly, the combination of emulsifier and starch can change the structure of starch and slow the aging process of starch. The contrast picture of French bread surface. The improver can enhance the bread gluten, making the expansion better. It can also make the surface crispy under the condition of high temperature and short time baking. 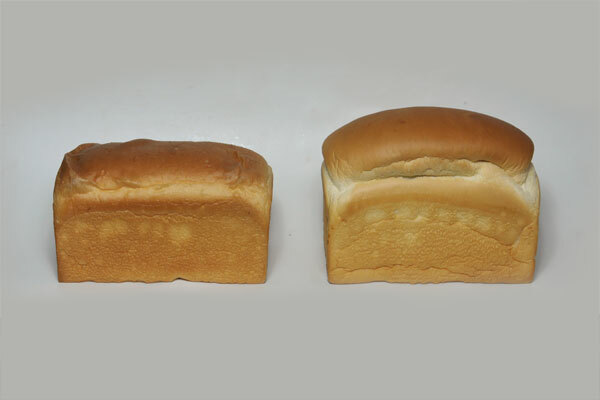 Amylase in improver can produce reducing sugar, making the bread color better. If water is sprayed on the surface of bread, there will be dextrin and small molecules to make the bread surface crispy. The surface is smooth and white. The tissue is even and exquisite. The volume will be increased. The steamed stuffed bun can maintain more water and have a long shelf life. 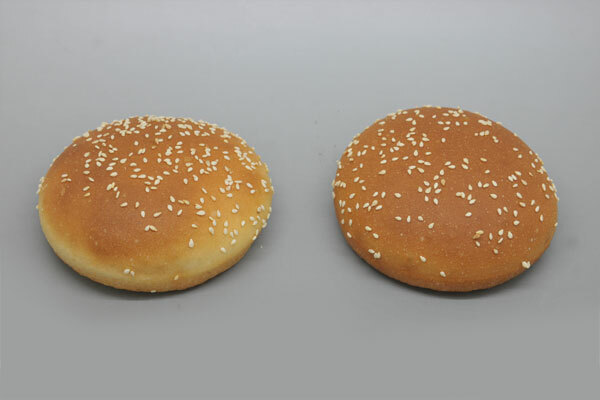 What is the difference between the improver for steamed stuffed bun and bread? The role of improver in fermentation process and the function of improver to inner organization are almost same. But the heating method is different. The steamed stuffed bun is heated by steam, which can make the bread surface smooth and glossy (if the organization is exquisite, the surface is white. If the temperature of the oven is over high, the surface color will be not ideal. There is a certain relationship between color and improver.). 3. How to choose improver? Different users (different technology, kinds and mechanical processing conditions) have different requirements for the improver. The flour quality is generally good. And the shops are not very sensitive to the price. The improver is relatively high-end. Strictly control the cost. The flour is cheap. There is a high requirement for improver property and price. Bread is anti-fermentation and has good expansion in oven and exquisite organization. 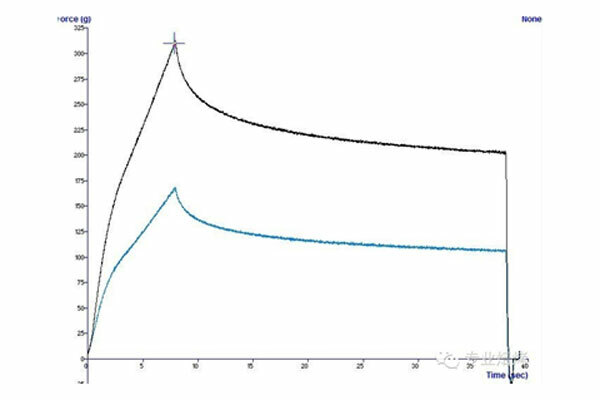 There is a particular requirement for improver: big water absorption, good water-retaining property and high emulsibility. 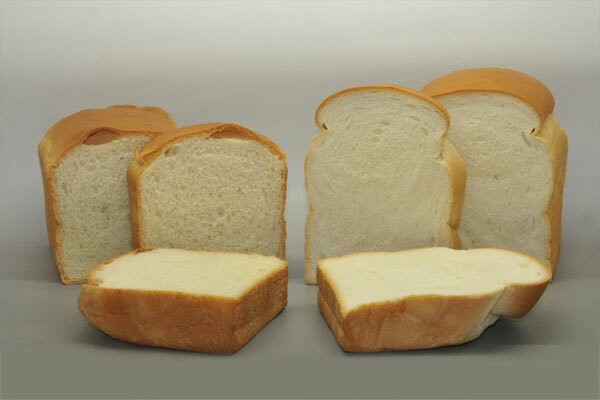 Because there is a standard for raw materials, processing technique and finished product quality, the bread quality must be stable and meet the needs of automated production.